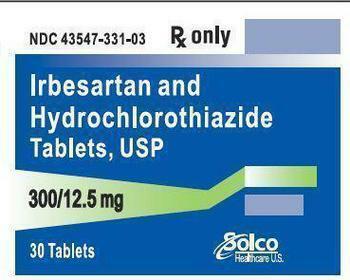 Prinston Pharmaceutical, doing business as Solco Healthcare, is recalling one lot of Irbesartan and seven lots of Irbesartan HCTZ tablets. The products contain a trace amount of N- nitrosodiethylamine (NDEA) above the acceptable daily intake levels released by the FDA. NDEA has been classified as a probable human carcinogen by the International Agency for Research on Cancer. Prinston Pharmaceutical has not received any reports of adverse events related to this recall to date. The recalled product, which can be identified by checking the product name, manufacturer details and batch or lot number on the bottle, were distributed nationwide. Patients should contact their pharmacist or physician who can advise them about an alternative treatment prior to returning their medication. Patients who are on Irbesartan should continue taking their medication, until their pharmacist provides a replacement, or their doctor prescribes a different medication that treats the same condition. The risk of harm to a patient’s health may be higher if the treatment is stopped immediately without any alternative treatment. For a return label, consumers may contact the company at (609) 451-1000 or by email at customerservice@solcohealthcare.com.